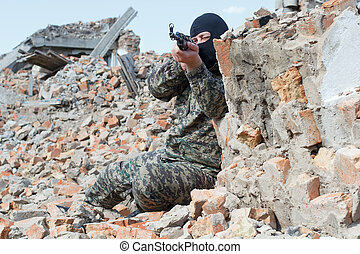 Camouflage military eye. 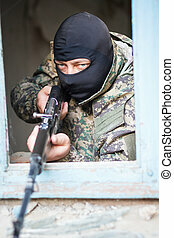 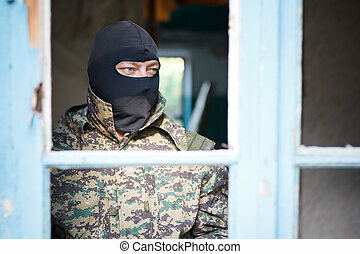 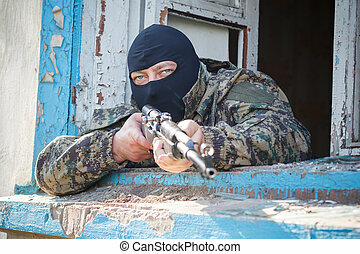 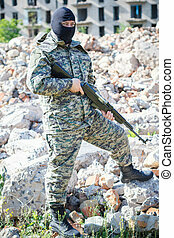 Military camouflage on a human face with a close up of the green eye gazing and looking representing war tactics and battle strategy in an army or business situation. 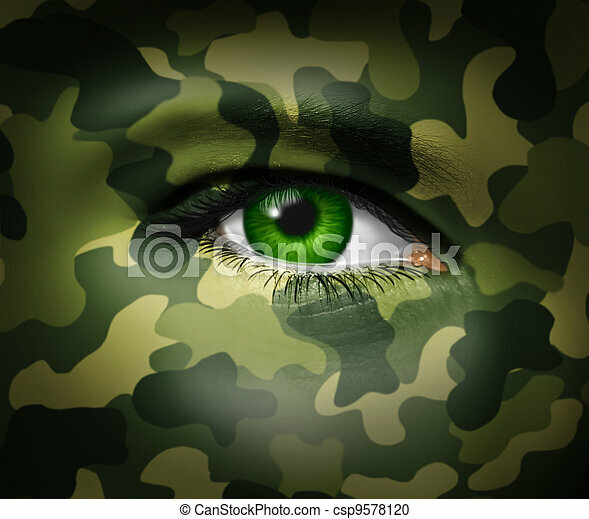 Military camouflage on a human face with a close up of the green eye gazing and looking representing war tactics and battle strategy in an army or business situation. 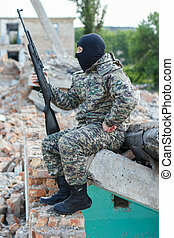 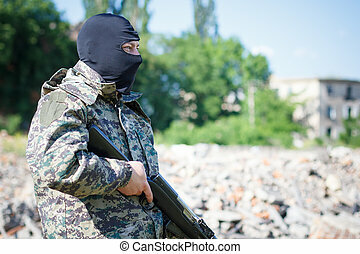 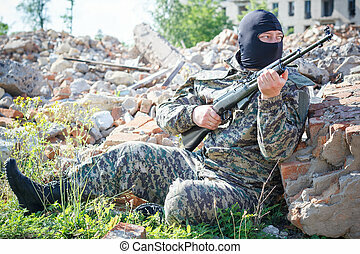 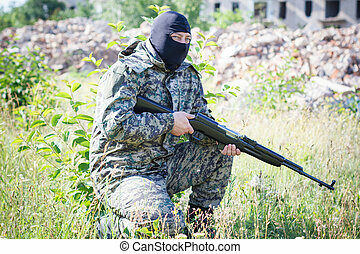 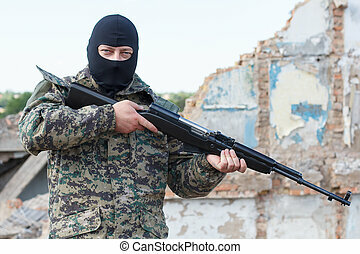 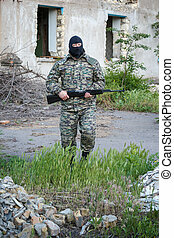 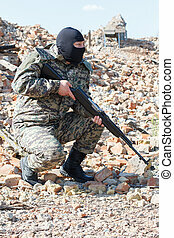 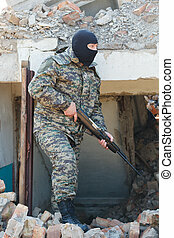 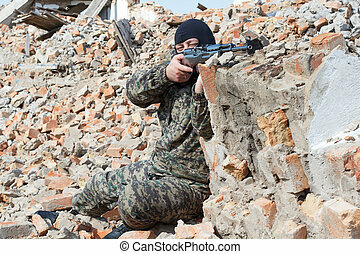 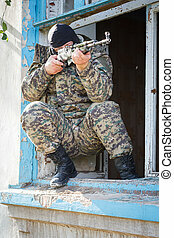 Military camouflage with a rifle on a background of bombed buildings. 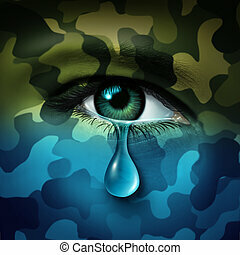 Military depression mental health concept and casualty of war symbol as a crying human eye tear with green camouflage transforming into a blue mood as a metaphor for veteran healthcare or combatant issues. 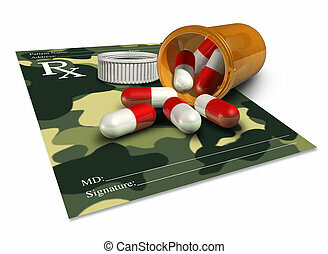 Military medicine concept as a doctor prescription with a camouflage pattern for veteran soldier therapy or an icon for pharmaceuticals in the armed forces. 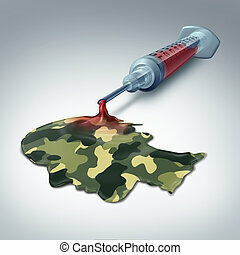 Military health care concept and veteran medical care metaphor as a syringe with blood emerging out as liquid with a soldier camouflage pattern shaped as a human head as a war hero medicine icon..
American culture and a symbol of military heroes and the patriotic brave rescue first responders from the Unites States of America with a close up of a human eye. 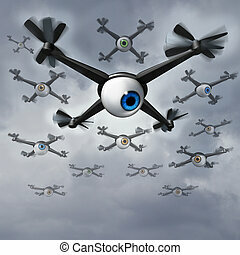 Drone privacy concerns social issues concept as a group of spy drones with human eye balls collecting private information in a reconnaissance and surveilliance mission. 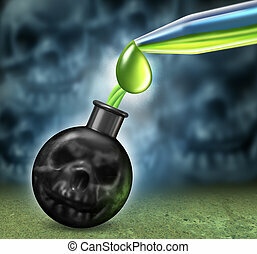 Chemical weapons concept with a bomb as a human death skull being filled using an eye droper with dangerous poison as nerve or mustard gas as a symbol of a weapon of mass destruction as a war crime with smoke shaped as evil skulls. 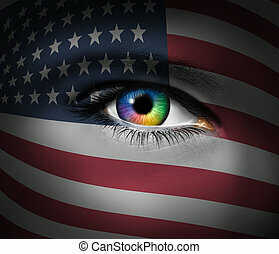 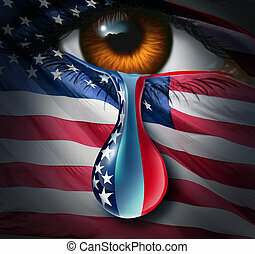 American social crisis and grief or violence in the United States concept as a human eye with a US flag crying a tear of sorrow with the stars and stripes in the liquid drop as a metaphor for community suffering and a symbol for hope.